Frustrated by healthcare inequality in the public system, five medical practitioners have set up their own clinic to service marginalised communities, writes Ellie Cooper in this week’s Spotlight on Social Enterprise. 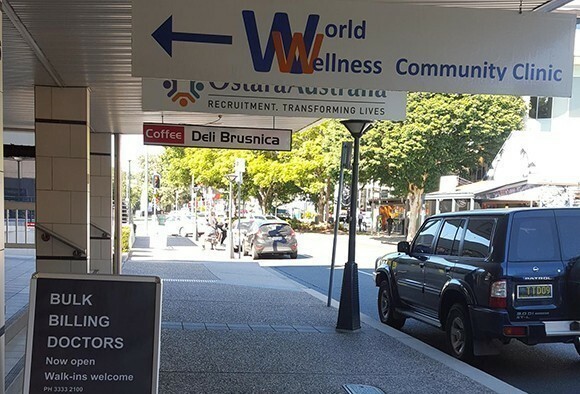 World Wellness Group, founded in 2011, is a Brisbane-based social enterprise focused on addressing health inequality experienced primarily by migrants, refugees and asylum seekers. Director Rita Prasad-Ildes says people often slip through the cracks because they have issues accessing affordable services that cater for the complex needs and diverse backgrounds. “Some of us… could see a lot of people ending up in the public health system who weren’t getting the appropriate primary health care, so we thought rather than complaining about it let’s try to do something about it,” Prasad-Ildes said. 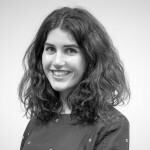 “We very specifically thought about the model and thought the social enterprise model would be the most appropriate line to go because five of us who were the founders, we have all worked in the Not for Profit sector, we’ve worked in the public health sector, and we basically found both could not adequately address this problem. “We had been around long enough to see a lot of really good multicultural health initiatives become defunded over the years because they were no longer a government priority, even though they were evaluated to be successful. Around the time WWG was founded, Brisbane’s population of asylum seekers grew as people were released from detention. 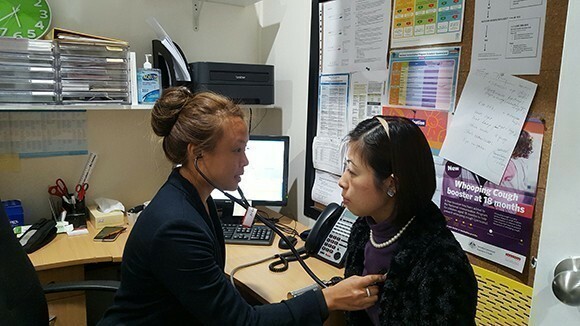 They were living on bridging visas and had issues accessing healthcare, so the Brisbane Multicultural Centre offered WWG a rent-free space to see patients. “They really got behind us to support us to do something about the issue of health inequity,” Prasad-Ildes said. “Because we were based there, and we were right in the thick of agencies that were working with asylum seekers and people kept coming to us, we jumped into it quite quickly to set up a clinic. “We started a makeshift clinic at the Brisbane Multicultural Centre in 2012 and because we were all health workers we rallied our networks and started a small GP clinic, we also got a lot of allied health workers involved to do mental health support. “Then we realised – we knew this was an issue, but it was much broader than just asylum seekers. Refugees and people from diverse cultural backgrounds… struggle to get access to primary health care because of language and cultural barriers. Needing to move to a larger space, they ran a crowdfunding campaign on StartSomeGood In 2013. “We raised $20,000 and that was enough to kickstart a clinic in Brisbane in a suburb called Stone’s Corner, which is an inner-city suburb but in close proximity to a lot of the multicultural support agencies and close to public transport and that sort of thing,” Prasad-Ildes said. Along with providing primary health services, Prasad-Ildes says WWG helps marginalised groups through fostering social cohesion. 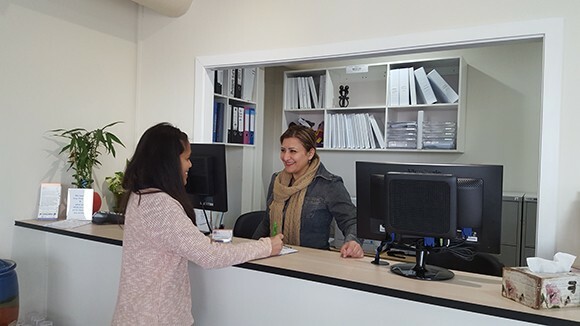 “Our clinic is open to anyone, it isn’t just for people who are migrants, refugees or asylum seekers. The local community can use our clinic as well,” she said. She says providing accessible and appropriate bulk-billing services to disadvantaged groups means the clinic itself will always run at a loss. “Really we can understand why there’s basically no money to be made in a system where you have to have long appointments for people who have complex health problems, you have to work with interpreters, you have to have really good cross-cultural skills to understand people’s different cultural health beliefs,” she said. “So, because that doesn’t happen in your regular primary healthcare sector, which is ultimately a for-profit business model, that’s how people start slipping through the gaps. They don’t use interpreters, they don’t take the time, people don’t understand the system, they get lost in the system – and that all costs money that the general primary health care sector is not geared up for. To be financially sustainable, WWG has created other income streams to supplement the cost of primary health services. Prasad-Ildes says they have found their niche in the wellbeing industry. “We’re very committed to a holistic model of care, so we also have traditional medicine services in our clinic as well,” she said. “What we have found is that there is a real market and interest… one of the fastest growing trends in the healthcare industry is people’s interest in wellness. People are living longer, we’re a lot more aware of chronic diseases, so people want ot learn more about how to stay well. 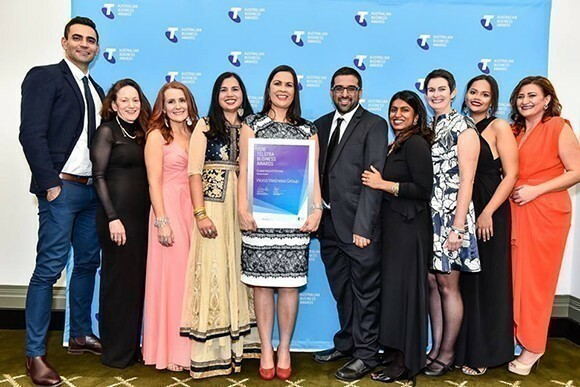 WWG runs a successful corporate wellbeing service, and the social enterprise was recently recognised in the Queensland Telstra Business Awards. “Our distinguishing factor is our authenticity… we did we provided training for migrants and refugees to become seated massage therapists, and they are now part of our workplace wellness program,” Prasad-Ildes said. “So we’ve got people who are representative of our clients going into workplaces and providing that service, and… if you buy a service from us you can be guaranteed that the profits on that are being used to fund services for people who cannot get access to primary healthcare services. She says while WWG is now breaking even, there are times when they need more resources to support an influx of people who need care. “When we first started obviously we had many hair-raising moments of looking at our profit and loss statements every month… but we are really at a point now where we are self-funding and we are earning enough money to basically pay the bills,” she said. “We did recently run a fundraising campaign because we’ve found the increase in Medicare ineligible asylum seekers was really rising in our clinic. In Brisbane we’re the only option really for ongoing primary health care services for asylum seekers. “We’ve found 20 per cent of all our asylum seeker patients were medicare ineligible… they don’t have any other supports… they’re pretty destitute. “So when they come to our clinic they actually take a lot of time around mental health support and coordination and trying to find food for people, accommodation. It’s a lot more than a general medical clinic… we provide a lot of social support as well. She says achieving stability and financial security is a huge milestone in their journey. “When we first started, if someone had actually sat us down and said, ‘This is what it’s going to take to do it,’ I think we would have all run for the hills,” she said. “I think we got into something that we probably didn’t quite understand, because fundamentally we’re health workers, we’re not business people. “I had a general understanding of the model of a social enterprise, and, conceptually, that sat really comfortably with us. But to actually really change our mindsets from people who had worked in the Not for Profit or in the public sector to a business model was a big shift for us. They also found that operating in a niche area meant there wasn’t a lot of support from the social enterprise or health sectors. “In the general we found the social enterprise sector… didn’t really understand a lot about what a health social enterprise was,” Prasad-Ildes said. “We haven’t really received any support in terms of startup or any funding from any… organisations that are out there to support social enterprises because I think generally people didn’t really understand health. “[And] we found was that the health sector doesn’t understand social enterprise and the social enterprise sector doesn’t really understand health. She says staying true to their vision and mission – and having confidence – was important to their success. “We’ve worked in this health space for a long time, we know what the barriers are, what the issues are, and [being] uncompromising about that, saying, ‘No this is the way it needs to be done,’ has really paid off,” she said. “Here we are five years later and we are breaking even, we are paying our bills, we’ve seen thousands of people come through the door who couldn’t have got the service elsewhere, we’ve worked with a lot of people who were in a cycle of not getting their health issues addressed. Already, WWG is expanding – not physically yet, but in terms of marginalised and vulnerable groups who are seeking healthcare tailored to their needs. “What we have found over time is the model of our services is really being recognised by other groups that work with people who are more disadvantaged as well but may be Australian background,” Prasad-Ildes said.